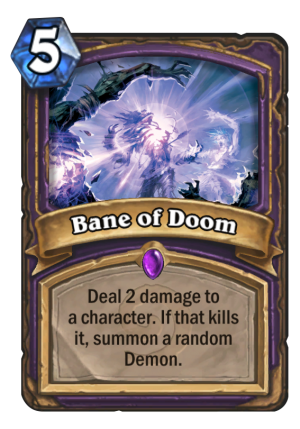 Bane of Doom is a 5 Mana Cost Epic Warlock Spell card from the Classic set! Deal 2 damage to a character. If that kills it, summon a random Demon. My advice to you is to avoid Doom, if possible. 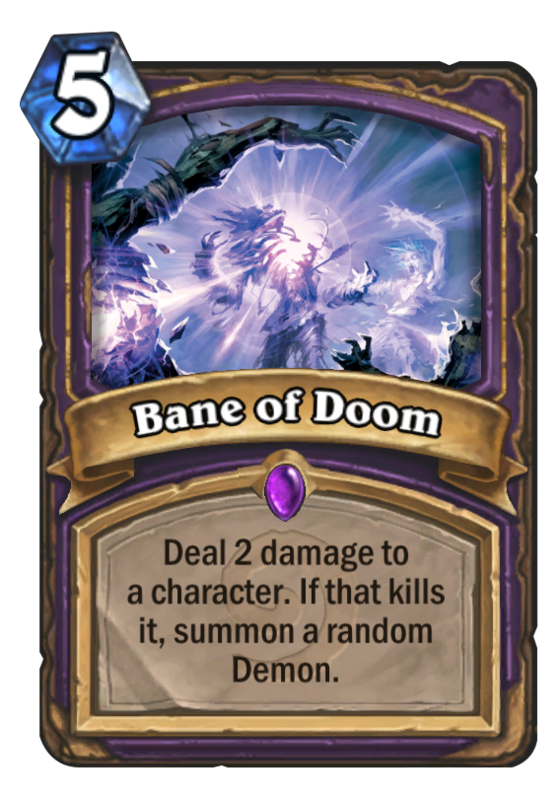 Prior to the Blackrock Mountain Patch, Bane of Doom could only summon Blood Imp, Voidwalker, Flame Imp, Succubus, or Felguard. Well you need to change the flavor cuz it’s a lot better now, summoning all legendaries that’s just great.